In stark contrast to the grim darkness of the far future I love the naive optimism of the Tau. Having coveted them for a while, when the new releases came out I couldn’t help but jump on the band wagon and pick up some kits for a new project! Whilst the Tau are thematically cool they present an even more interesting painting opportunity. 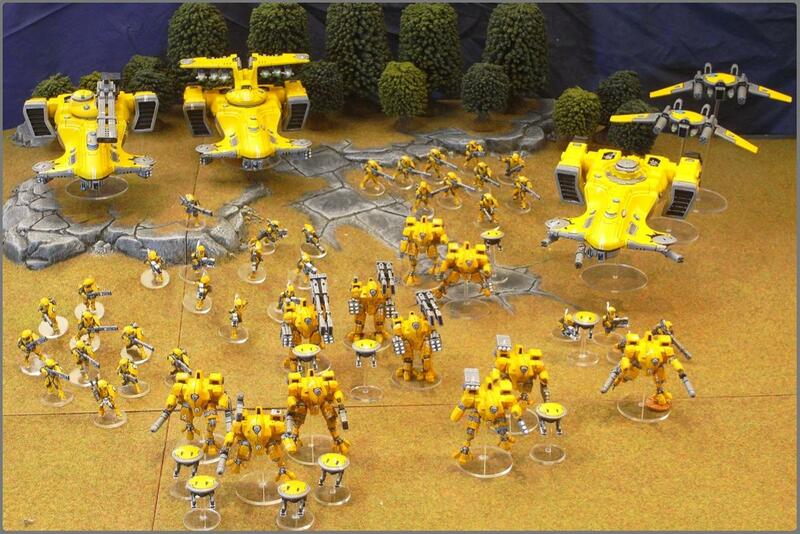 I’ve always fancied trying to paint an army in yellow and the bright idealism of the Tau fits this perfectly. As with all new projects I began with some research. I’m not the first guy to think of doing yellow Tau and I found some great looking armies out there on the web. I also looked at other Sci-Fi inspiration from sources as varied as Transformers, Star Wars and Borderlands. Anything good went into my Pinterest for reference. 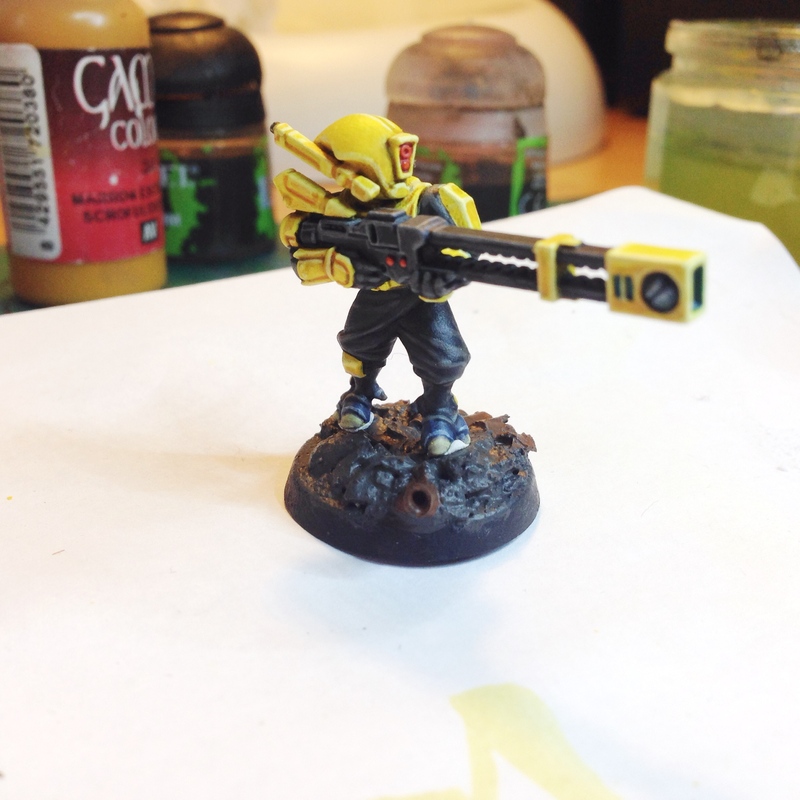 Despomundra‘s grittier yellow and black Tau. Next came the research on palette. Yellow is notoriously difficult to paint and I don’t use an airbrush either so I had to ensure I deployed the right techniques and paints to get the look I want. Fortunately, there are a legion of Imperial Fists players out there, and after digging around on a few forums and chatting to fellow hobbyists on Instagram I had found a few recipes I wanted to try. 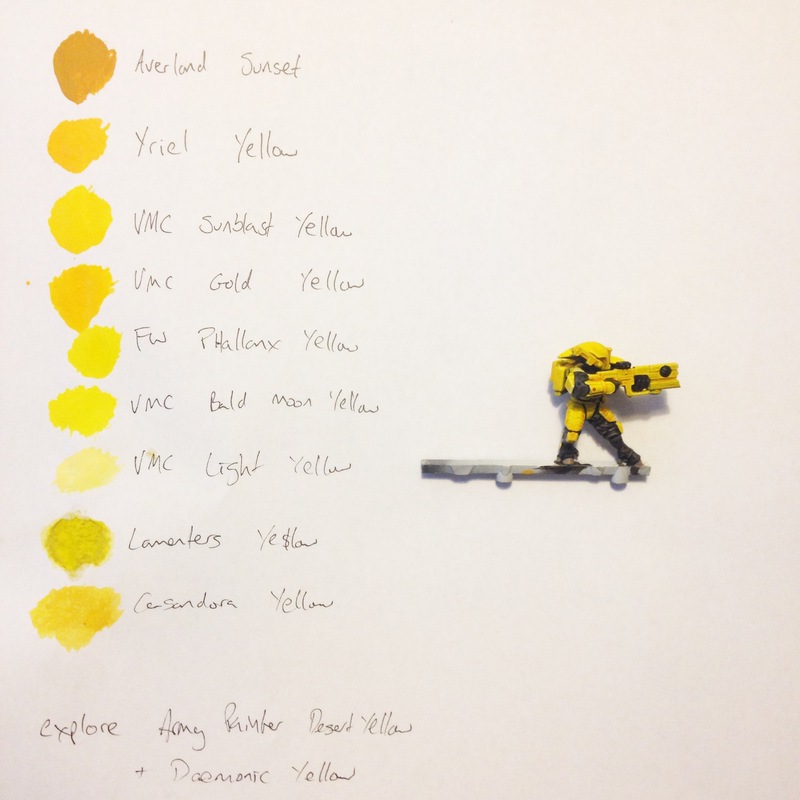 There are many yellow paints, all with varying degrees of pigmentation and coverage. 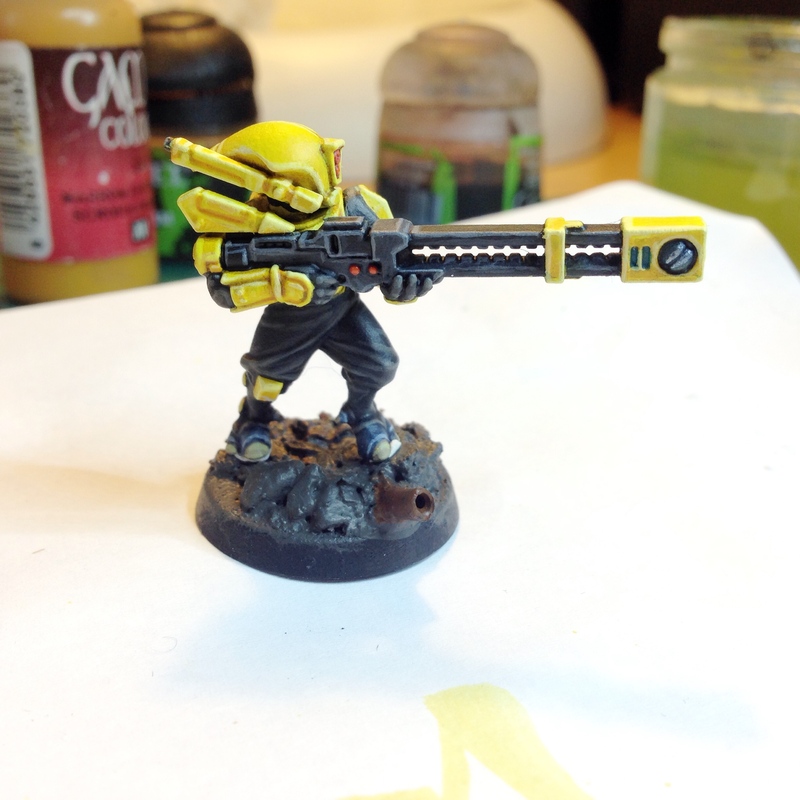 Another option is to use yellow inks over a white undercoat as with this Fire Warrior. 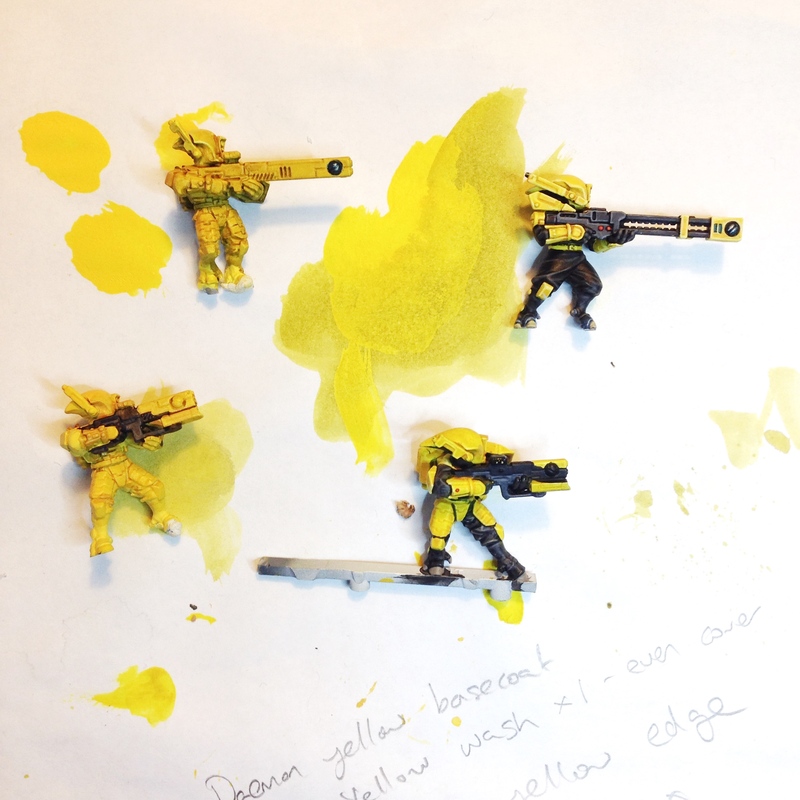 Various experiments using washes over Army Painter Daemonic Yellow Spray. Whatever technique I used had to scale up to vehicles and battlesuits, hence my choice of yellow spray for the base coat. I love the idea of a vanguard force and picked up the new Infiltration Cadre: Burning Dawn boxset as the basis of my army. I’ve got some Forge World units to supplement this too – more on them in weeks to come. As my friends will attest, I’m pretty flaky at finishing my hobby projects, but since starting Technasma I’ve been a lot more focused and disciplined. Let’s see how I get on! For now here’s a pic of the prototype I did over the weekend (base unfinished). I’m looking forward to getting the rest of the Pathfinders done now! So what are you guys working on at the moment? How do you go about starting new projects? Let me know what you think. 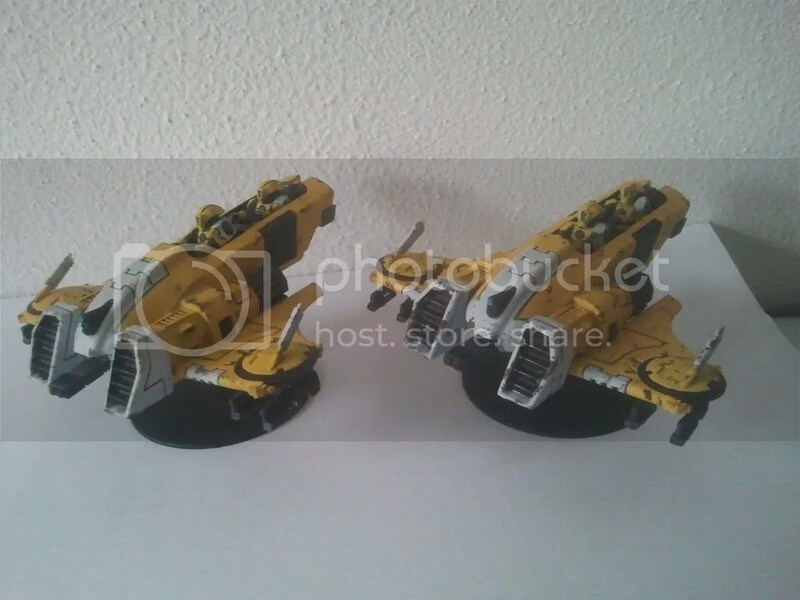 This entry was posted in Colin Price, Work In Progress and tagged #warmongers, 40K, Colin Price, Tau, Technasma, Warhammer 40000, Ye'lo, Yellow. Bookmark the permalink.